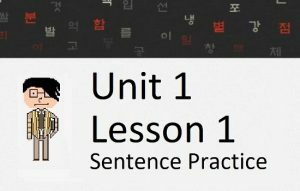 Lesson 76: In this lesson, you will learn about a grammatical principle that, by now, you probably hear all the time in Korean. Probably one of the most common grammatical forms in Korean is the usage of ~는데. Let me break this principle down for you in the first two lessons of Unit 4! Lesson 78: In the previous two lessons, you were subject to the confusing explanations of the ~는데/~는 데 grammatical principle. Now that those two difficult/confusing lessons are finished, I can go easy on you and describe some grammatical principles that aren’t as difficult to understand. 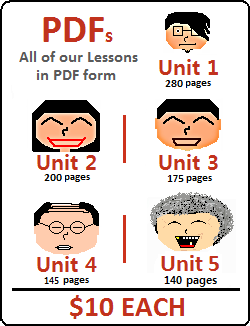 In this lesson, you will learn about ~에 의하다 and ~(으)로 인하다 which, aside from looking very similar, sometimes have similar meanings. 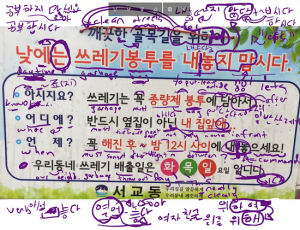 Lesson 79: Instead of a lesson about some Korean grammatical principles, the vocabulary is the lesson. As with previous “difficult word” lessons, I will teach you some words that cannot be understood by simply looking up the translation in a dictionary. Rather, these words need a detailed description to be fully understood. You will learn about the following words in this lesson: (그)대로, 인기, 당연하다, 알맞다, 어쩌다, 전체, and ~바로 그 때문이다. 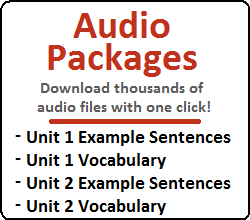 Lesson 80: In this lesson, you will learn about two similar grammatical principles and their (similar) respective meanings. In this lesson, you will learn how to use ~아/어서는 안 되다 to mean “one should not” and ~(으)면 안 되다 to mean “one must not.” We will also look at the meaning of “되다” as a stand-alone word again, and the positive meaning of using ~(으)면 되다, which is a very natural expression but usually one that foreign learners of Korean cannot understand properly. Lesson 81: In this lesson, you will learn how to use ~(으)니까 and ~(으)니between two clauses to create a meaning that is similar to ~아/어서. Of course, just like every other grammatical principle, there are some subtle nuances that you should know about. Lesson 82: In this lesson you will learn how to add ~구나, ~군 or ~군요 to the end of a sentence. This grammatical form is said when somebody realizes a new fact or piece of information. Lesson 83: In this lesson, you will learn the meaning of adding ~네(요) to sentences. This grammatical form can be used to express surprise, and has a very similar meaning to ~구나/~군/~군요, which you learned in the previous lesson. Lessons 76 – 83 Mini Test: Test yourself on what you learned from Lessons 76 to 83! All finished with Lessons 76 – 83? Click here to check out the next eight lessons.